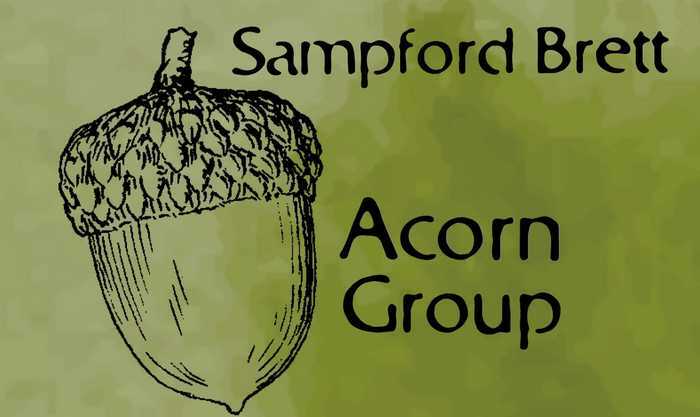 The Sampford Brett Acorn Group came about in 2017 as a response by the Village Hall Management Committee (VHMC) to feelings in the Community that "something needed to be done" about the Hall. Depending on your viewpoint, the "something" ranged from a lick of paint, perhaps a new kettle, right up to demolition and rebuilding! An open meeting in the Village Hall identified a number of volunteers who were prepared to take a project forward. The VHMC established some terms of reference for this group, and you can read these here. This application was successful and resulted in a structural survey report and a Community Needs Survey. Based on the above reports, the Acorn Group is currently determining a range of options to take to the VHMC later in 2018. Watch out for updates as this work progresses! Some people gave us their contact details when they completed the surveys so that they can stay informed about the project and also to be involved in some practical ways - thank you for this. We will be in touch with you soon to discuss your involvement.